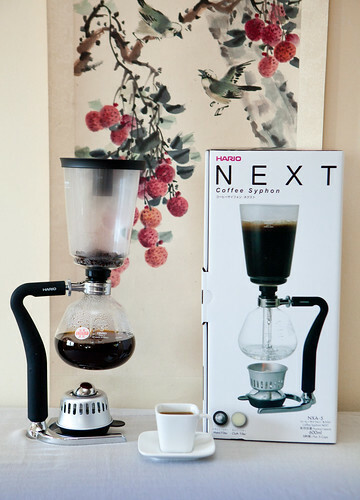 Hario is a 91-year old heat resistant glass maker for coffee and tea. Their first siphon was released in 1957. 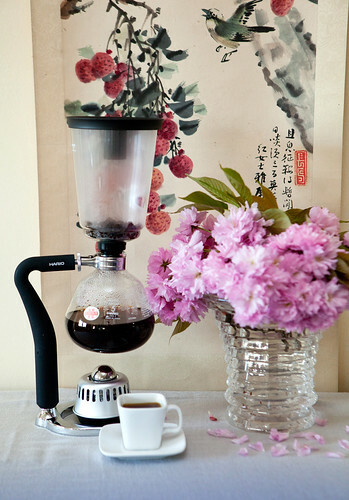 Ever since, they’ve created a number of coffee brewers that I’ve learned to love and understand the many techniques to create a delicious cups of coffee. The next improvement is the scale marks on the glass ball and it’s ergonomically improved silicone handle. The latter achieves an easy-to grip, heat and slip resistant handle.